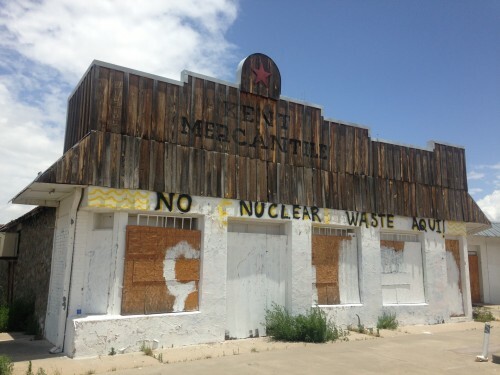 West Texas has had a long and often contentious relationship with nuclear waste, stretching back to a years-long battle over a planned permanent waste site in the 1980’s and 90’s. Opponents eventually won that fight, but a different site was later built in the Permian Basin. Some now see West Texas as the ideal place to store higher-level waste from the nation’s nuclear power plants, since those plants are running out of room to do it themselves. Ranchers don’t like the idea, and they’re already gearing up for a fight. Bill Jones is a Texas Parks and Wildlife Commissioner. He’s also co-owner of the Austin-based company AFCI, Texas. 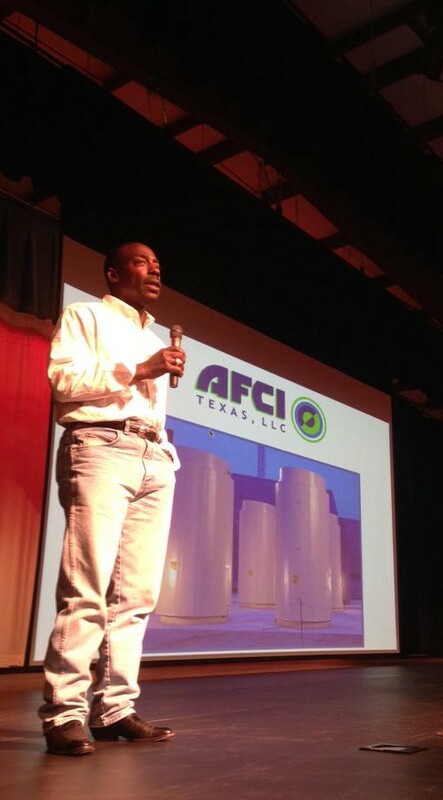 In that role, he wants to bring used nuclear fuel from those power plants to an above-ground storage site in rural Culberson County. But he’s been trying to do that for seven years. Even with supporters as powerful as former governor Rick Perry backing the idea of bringing nuclear waste to Texas, it’s still been a hard sell. “It’s fair to say that we did not bring along the landowners with the process, as we have with this county,” Jones said at a recent community meeting in Van Horn. There, he pitched the idea to locals and people from neighboring counties. He was grilled on the safety of it. Later, he said it’s not like that Simpons-esque image people have of a nuclear site. “Most have a Hollywood view of a green, goopy, highly-toxic material stored in 55-gallon drums with a skull and crossbones drawn on the drums,” he said, noting that won’t be the case with this project. The waste would be stored in heavy-duty steel cylinders, the way it’s already stored at many of the plants that produce it. The federal government has been looking for a community willing to take some of this waste off the power plants’ hands while the government tries to find a permanent place to put it. It’s saved up billions of dollars in a Nuclear Waste Fund to pave the way. If the people here go with his plan, Jones said, some of that money – possibly millions – could wind up in Texas and here in Culberson County. His selling point to West Texans: if you don’t get in on this, New Mexico will. Nearby counties there are looking at similar plan, as is the low-level waste site that already exists in Texas. That pitch hasn’t convinced people in the past, but this time could be different. Jones now has a powerful ally. Remember that landowner Jones mentioned he’s got a better relationship with this time around? That’s his fellow commissioner and Texas Parks and Wildlife Commission Chairman Dan Allen Hughes, Jr. His family owns the land where this site would be built. 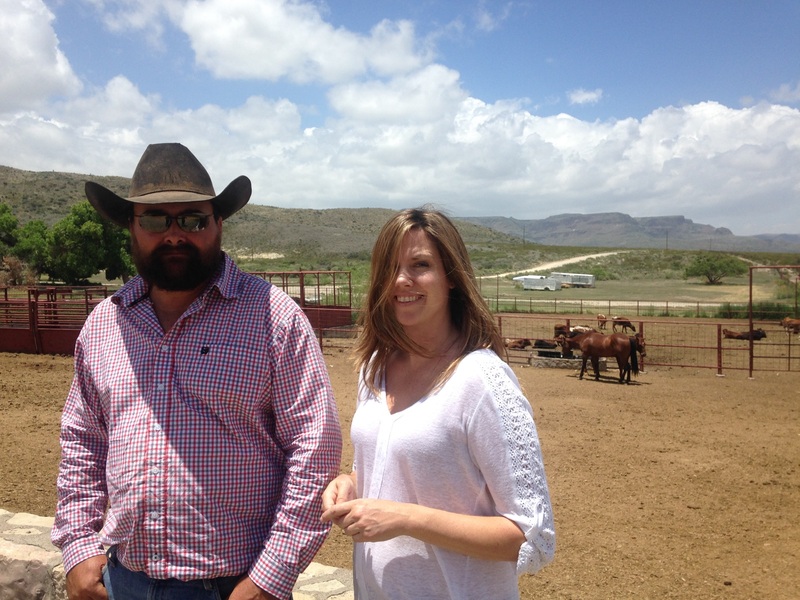 “I just don’t really see how nuclear waste and Texas Parks and Wildlife go together, but I don’t know,” said Lucy Furlong, a cattle rancher in Culberson and Jeff Davis Counties. Her family’s owned the Long X Ranch since the late 1800’s. Old, grainy pictures of the ranch line the rustic walls of the main house. She and her husband Clay say they didn’t know anything about nuclear waste until they found out just weeks ago that a site could be built a few miles up the road. Nearby ranchers aren’t happy either. But at home, they’re thinking of what life might be like with that waste sitting nearby, possibly for a long time. Driving out to the proposed site, Clay Furlong points out an old railroad route Jones has talked about using to ship the waste in, but there aren’t any tracks on the ground. Just a dirt path, a sign that this plan’s still in its very early stages. “There is a bit of a question mark here,” said Edwin Lyman, a Senior Scientist at the Union of Concerned Scientists focused on the future of nuclear power. He says, the fact is, any project like this is going to be entering uncharted territory. It’s just never been done before. 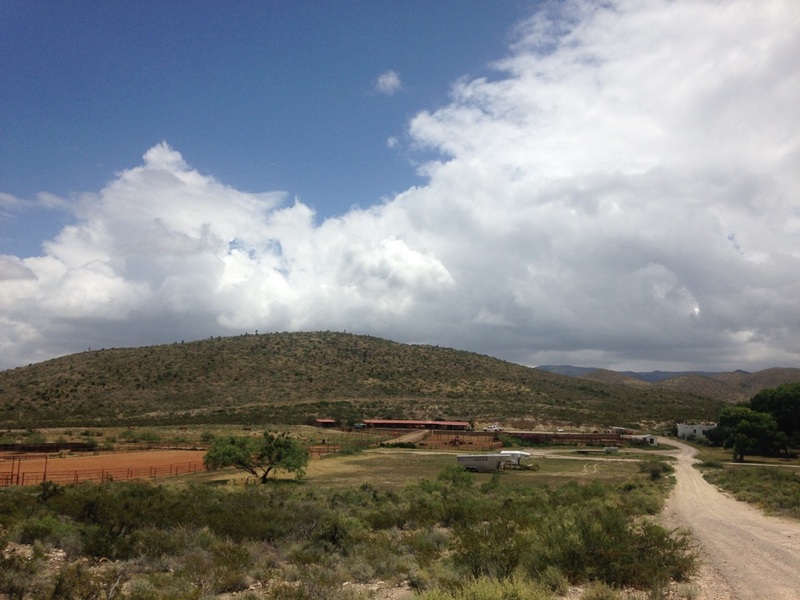 At that recent community meeting, Culberson County Judge Carlos Urias said he’s not closing the door on the plan, but that it will be the people of his county that decide what happens. But in a place where ranches cross county lines and next-door neighbors sometimes live miles away, that approach doesn’t sit well with everyone. “They’re not worried about Jeff Davis or Reeves County, but Jeff Davis is just right beside it, so is Reeves, so there’s a lot of people that are concerned that they have no say so in it,” said Clay Furlong. 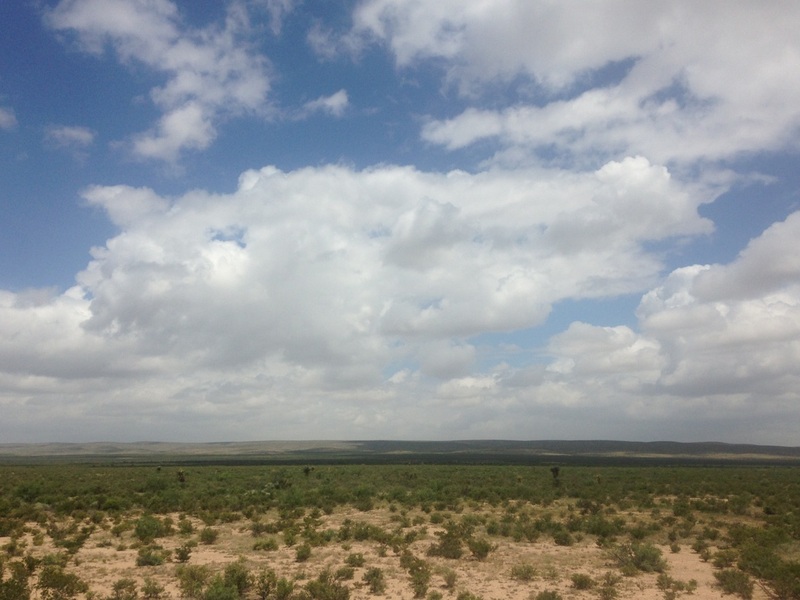 – Katherine Rae Mondo contributed reporting from Van Horn. This entry was posted in KRTS News and tagged AFCI Texas, Andrews County, cattle, Culberson County, government, High-level Waste, Jeff Davis County, Kent, Long X Ranch, New Mexico, Nuclear Energy, Nuclear Waste, Ranching, Van Horn. Bookmark the permalink.